When and where was Glimpse released? It was released in the UK on 19 June 2014. Is Glimpse a retelling of ‘The Highwayman’ poem? Not exactly. Glimpse was inspired by Alfred Noyes’ poem, and the story relies on the poem’s events, but it isn’t a straightforward retelling. ‘The Highwayman’ poem is printed at the beginning of the book for anyone who hasn’t read it. 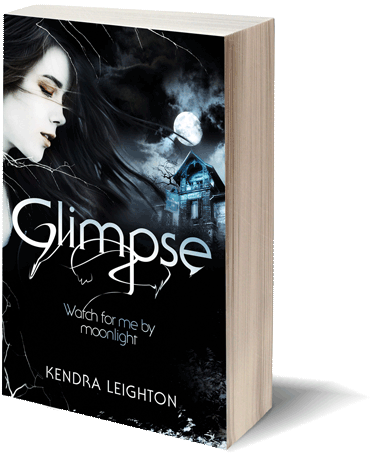 How did you get the idea for Glimpse? I’ve always loved romantic gothic fiction, so it was natural that my first book would be romantic and gothic. I wanted to write a ghost story, and thought of ‘The Highwayman’ poem, which is already the perfect ghostly romance. My first impulse was to write a retelling, but when my imagination cranked into gear I developed an entirely different story, using ‘The Highwayman’ as a springboard. How do I get a copy of your book to review? It’s best to contact my publisher. Can I interview you / ask you to guest post for my website? I’d love to hear from you! Contact me here or through Twitter, and take a look at my Press Kit. Yes — I love visiting schools and chatting to students and readers! You can find information about the events I offer here, and information on my free Skype visits for schools here. My all-time favourite book is Margaret Atwood’s The Blind Assassin. My other favourites are always changing, but a few that spring to mind are Patrick Ness’ Chaos Walking trilogy, Laura Whitcomb’s A Certain Slant of Light, Brenna Yovanoff’s Paper Valentine, April Genevieve Tucholke’s Between the Devil and the Deep Blue Sea, Gayle Forman’s Just One Day, and Stephanie Perkins’ Anna and the French Kiss and Lola and the Boy Next Door. Is it true you’re a chocolatier? Do you eat chocolate all day? Yes! I’m the resident chocolatier at Rawr. And no — though sometimes I make chocolate all day, if that counts.